Ger Lawton argues that Walsh Park is the only option as the home of Waterford GAA going forward. Photo: Inpho. A quick question for you? Are you worn out by the Walsh Park v Carriganore and don’t forget about Fraher Field debate yet? There seems to have been little else talked about on WLR and in Waterford as a whole in the few weeks. It began with WIT offering Waterford GAA a lovely plot of land in Carriganore to build a spanking new stadium. Then WIT said they never made such an offer. Then there was ‘an independent feasibility study’ (isn’t there always) which rated Walsh Park, Fraher Field and Carriganore in terms of which would be the best site to host a ‘new’ Waterford GAA stadium and it concluded that it found in favour of Carriganore on a score of 182 to 162 for Walsh Park and 160 for Fraher Field. Then there were the various polls, including one conducted by this newspaper, the phone calls, the text messages, the tweets etc all of which seemed in favour of Carriganore. So with such overwhelming support then surely it’s a done deal and within a couple of short years we’ll be stepping out of our cars in a huge car park and walking the short distance to watch Waterford play Limerick in the Munster SHC at Waterford’s shiny new home at Carriganore. I don’t think so. First of all, despite all the polls and the texts to WLR, I firmly believe, from talking to many of them, that the vast majority of GAA club members in Waterford believe that they and Waterford GAA in general, especially the county board, could have done grand without all this debate over the past week or ten days. I believe that they (the ordinary grassroots GAA people of Waterford) believe that all this has been kicked around for too long and that now it’s time to just get on with the upgrade of Walsh Park that will make it into a modern 12-15,000 capacity stadium and leave the past, including the chances of a shiny new GAA stadium at Carriganore in the past. I must say I agree with them. When I heard all this first I couldn’t help but think that somehow we had gone back in time 10-15 years ago and all the arguments that went on then were being rehashed. I have no doubt that going back a decade or a decade and a half ago the opportunity, mainly down to the then Minister for Sport, Martin Cullen, was there to build a fabulous 20,000 plus stadium at Carriganore. Martin Cullen went on WLR recently and said he would have delivered between €20-25 million for that project and I have no reason to doubt him. For whatever reason, and I have little doubt that the East/West divide that still plagues Waterford GAA today played its part. It didn’t happen then, when it should have, and to me that was the end of that. I think it would have been brilliant for Waterford, Waterford GAA and WIT but in my view that ship has now sailed and it’s time to move on and that means the redevelopment of Walsh Park. People texting in radio stations and saying that the home of Waterford GAA should at Carriganore and nowhere else is all well and good but at the end of the day it all comes down to finance. By the way in the report it proposes a 15,500 capacity stadium for Carriganore at a cost of €16m and not the 20-25,000 capacity that everybody seems to be talking about. The county board and in turn the clubs, because don’t forget that the clubs are the county board, have only recently been released from years of substantial debt through levies. For the first time in a long time, along with a few bob from JP McManus, they can actually think about reinvesting something into their grounds or not scraping by as they have done over recent decades because of the debt imposed on them by on high. The county board have assured the clubs that the redevelopment of Walsh Park will not cost the clubs and if you’re a treasurer or a chairman of a GAA club anywhere in Waterford, that’s what you want to hear and that’s why I’m sure the vast majority of these club people and these clubs are backing Walsh Park and have no interest in further debate on Carriganore, Fraher Field the RSC or anywhere else bar the Keane’s Road venue. The funding has been secured, the plans lodged, discussions with residents are ongoing and all is in motion. Most importantly from a County Board point of view, they have the backing of the Waterford Council, the Munster GAA council and Croke Park. If I thought that abandoning all this and heading for bigger and brighter things in Carriganore was attainable then I’d be all for it but I don’t. There are rumoured to be ‘investors’ waiting in the wings to help with the Carriganore cause. I’ve heard names mentioned but nothing definite. I’ve also heard figures mentioned of what these benefactors are willing to invest and let me tell you that those figures and what it would cost in reality to build such a stadium at Carriganore are leap years apart. So where would the surplus come from? The clubs again? I think not. Don’t forget also, no matter how it would be dressed up, Waterford GAA would always only be tenants at Carriganore, whereas they own Walsh Park and Fraher Field. 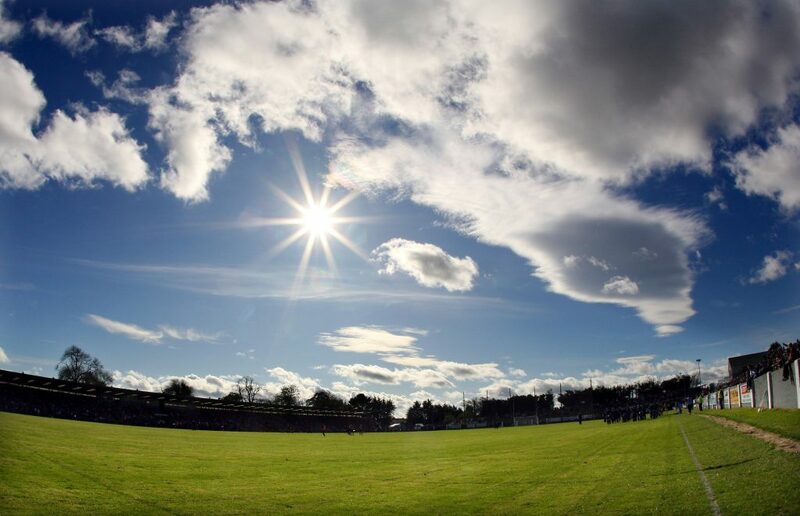 And where would that leave the likes of the Bord na nÓg and Cummann na mBunscoil who get great access to Walsh Park and Fraher Field for their games, which is huge for their young players to play at the county grounds….would they get the same opportunities at a ‘shared’ Carriganore? I think not. That’s not even going into the whole workings of any agreement that might exist between Waterford GAA and WIT, like would the GAA have to pay for every time it used Carriganore etc? The €20m of Government funding that once may have existed definitely no longer exists and therefore I can see only one option for Waterford GAA going forward and that is to spend the €5-7 million on Walsh Park and make it as good as you possibly can and get it done as fast as you can so it benefits Waterford teams and the clubs of Waterford as soon as possible. There’s no doubt that having to play their home games in Limerick and Thurles this year was a disaster for the Waterford seniors and minors. It should never have happened of course but it highlights the need for a home venue and the more time spent now on arguing and bickering over Walsh Park or Fraher Field or Carriganore the more chance that the Waterford hurlers will be more years than necessary playing in front of a smaller home support than they should. There’s a fair chance they will play their home games in Fraher Field next Summer and I’ve no problem than that but there won’t be anywhere near 12-15,000 there, maybe not even half that. So the sooner Walsh Park gets redeveloped and ready to pack as many Deise fans in to support their team the better for everyone. Sometimes you have to cut your cloth to suit your measure. Cork spent somewhere between 70 and 100 million on the redevelopment of Pairc Ui Chaoimh. It’s a fine stadium and they made a lovely job of it but to me it’s a white elephant. Too big and way too expensive for what benefit they will get out of it. To me they would have been better investing that money or half it, with a smaller scale stadium, into developing the future of Cork GAA. Putting it into a centre of excellence, training facilities, coaching officers etc to help their 250 plus clubs, a lot of whom are struggling big time, and the future of the county in hurling and football level at all age grades. I believe the same to be true here in the Déise. If these anonymous investors are genuine GAA people I would urge them to invest that money in Waterford GAA not on Carriganore but on the future of Waterford GAA and that’s the players. The future players in particular as it’s players that win All-Irelands and not stadiums. Invest the money in coaching and development and on facilities to ensure that the next generation and the generation after that are equipped in the best possible way to challenge for All-Irelands and surely that is what every Waterford GAA person wants. I know which I’d prefer. A 25,000 seater stadium or the Liam MacCarthy crossing over Rice Bridge on a regular basis in the decades to come…..what about you?